A Canadian pudding that's boiled in a bag and is interchangeably lunch and dessert. The word pudding has described an array of dishes across history: sausage, steamed molasses cake, haggis, custard. The term has evolved to signify primarily desserts—but blueberry duff defies such rules. This Canadian pudding is interchangeably sweet and savory. Traditional puddings are cooked using moist heat (boiling or steaming). 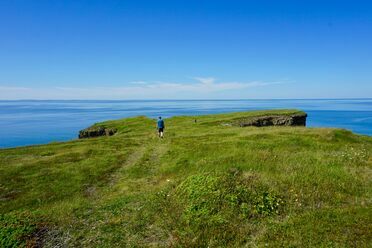 In Newfoundland, cooks steep blueberry duff in a large pot alongside the simmering salt beef, turnips, potatoes, and carrots that go into a traditional Sunday meal called a “Jiggs dinner.” For those outside of Atlantic Canada, the name is a misnomer. Residents of the northeastern region eat their dinner in the midafternoon, for the meal commonly known as lunch. Blueberry duff begins with a cake-like batter of flour, eggs, sugar, and blueberries. The mixture is poured into a cotton bag (a pillowcase will do in a pinch), tied at the top, and dropped into the Jiggs dinner pot to cook. The result is a pale, spongy loaf that’s sweet from the batter and savory from the cooking broth. As a side dish for the Jiggs dinner, the blueberry duff is simply sliced and plated together with the stewed meat and vegetables. Top the loaf with rum sauce and serve it with tea, and the pudding becomes a dessert. 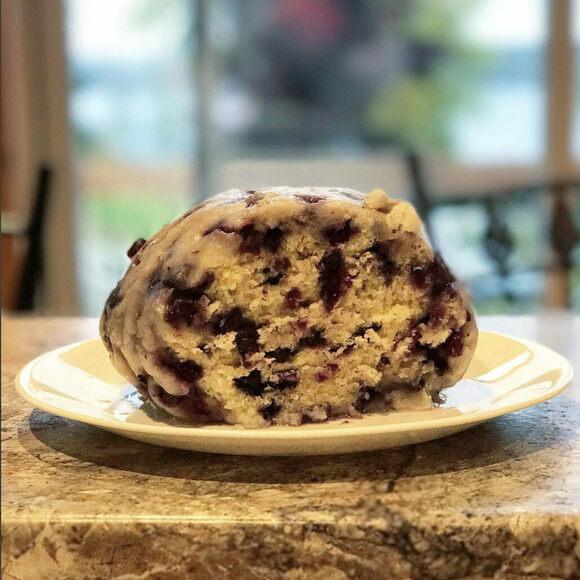 There are many recipes for blueberry duff online; assemble the ingredients, grab a pillowcase, and get started.